DNA testing is the test which looks at specific locations of a person’s genome in order to identify or verify ancestral genealogical relationships or to estimate the ethnic mixture of an individual. There are known to be three principal types of the DNA-test which is useful for different genealogical researches. They are autosomal, mitochondrial and Y-DNA. Autosomal tests look at chromosomes 1-22 and X. The chromosome (1-22) is inherited from the parents and X-chromosome follows a special inheritance pattern. Autosomal test estimates the ethnicity. Mitochondria test looks at the mitochondria which are inherited from mother to child and explores the direct maternal line whereas Y-DNA test looks at the Y chromosome which is inherited from father to child and explores direct paternal line. Also known as Genetic testing, allows the determination of bloodlines and the genetic diagnosis of vulnerabilities to inherited diseases. The results of a genetic test can confirm or rule out a suspected genetic condition or help determine a person’s chance of developing or passing on a genetic disorder. Genetic testing has potential benefits whether the results are positive or negative for a gene mutation. Test results can provide a sense of relief from uncertainty and help people make informed decisions about managing their health care. For example, a negative result can eliminate the need for unnecessary checkups and screening tests in some cases. A positive result can direct a person toward available prevention, monitoring, and treatment options. Some test results can also help people make decisions about having children. Newborn screening can identify genetic disorders early in life so treatment can be started as early as possible. As a result, genetic testing labs and companies is a booming industry that is yet to reach even up to 50 percent of its true potential. Ancestry.com LLC is one of the private online based company in Lehi, Utah. It is the largest genealogy company in the world which operates a network of the genealogical, historical record and genetic genealogy websites. In March 2012, Ancestry.com acquired the collection of DNA assets from GeneTree. AncestryDNA is a subsidiary of Ancestry LLC. It offers direct-to-consumer genealogical DNA testing. Consumers provide a sample of their DNA for the analysis. AncestryDNA then uses DNA sequences to infer family relationships with other Ancestry DNA users and to provide what it calls an “ethnicity estimate”. It also offers to start your family tree and discover about your ancestors. Y-DNA test and Mitochondrial DNA test were also provided by this company but it was discontinued in June 2014. In November 2018, the company claimed that it has sold more than 14 million DNA kits to their consumer. It also has redesigned new and improved DNA matches to help consumers make more discoveries easily and faster in 2019. My heritage is also another best company for the DNA testing that was first established and popularized by an Israeli company in 2003. MyHeritage’s services and facilities exist on the web and also can be downloaded as an app in mobile. MyHeritage uses the illumine OmniExpress-24 chip with hundreds of thousands of strategically selected probes to capture the greatest amount of genetic variation and facilitate research. In 2016, this company launched a genetic testing service called MyHeritage DNA. This company uses a microarray-based autosomal DNA test. DNA results are obtained from home test kits which allow users to use cheek swabs to collect the sample. These results provide DNA matching and ethnicity estimates. The company also offered 15,000 DNA kits as a pro bono initiative called DNA Quest which helped adoptees to connect with their biological parents. Also In 2016, this company launched a project to help children of Yemenite Jewish immigrants to reconnect with their forcefully separated families. On April 18, 2018, MyHeritage was listed on the 6th place among the list of 50 most promising startups in Israel. GEDmatch is an open data personal genomics database and website based in Lake Worth, Florida. It was founded by Curtis Rogers, a retired businessman and John Olson, a transportation engineer in 2010. It provides DNA and genealogical analysis for amateur and professional researchers and genealogists. GEDmatch users could upload their autosomal DNA test data from other commercial DNA companies, with or without GEDmatch files for the identification of their potential biological families who may have uploaded their profile. GEDmatch site tools help to discover whether one’s matches match each other, calculation of genetic distance, an estimated number of generations to a common ancestor, whether one’s parents are related or not through the closest matches to a user’s autosomal DNA. These tools don’t disclose one’s raw genetic data to other users. By May 2018, the GEDmatch database had 929,000 genetic profiles, with 7,300 users. Rogers claimed in 2018 that the site had already helped 10,000 adoptees to find their biological parents. In April 2018, law enforcement also used this site to find the suspect in the Golden state killer case in California. 23andMe is also another best site for DNA testing. It is a privately held personal genomics and biotechnology company in Mountain View, California. This company is named after 23 chromosomes in the normal human cell. In 2007, 23andMe became the first company to start offering the autosomal DNA testing for ancestry, which is now used by many companies. Its saliva-based direct-to-consumer genetic testing business was named “Invention of the year” by Time magazine in 2008. For the DNA testing, customers provide a saliva testing sample that is partially single nucleotide polymorphism genotyped and the results are posted online. Ten of thousands of variants are tested out of 10 to 30 million located in the entire genome. These matches are compiled into a report that is supplied to the consumer, allowing them to know if their variants match with certain diseases such as Parkinson’s disease, Alzheimer, etc. 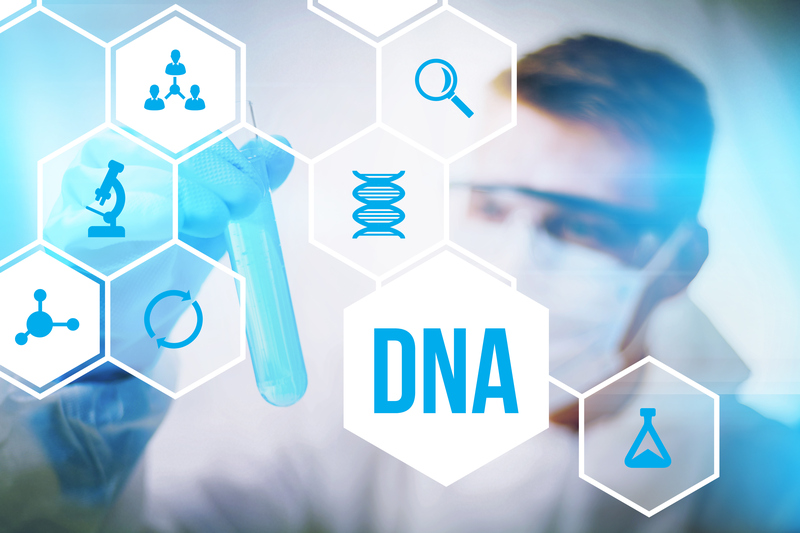 Customers who bought tests with an ancestry-related component have online access to genealogical DNA test results and tools, including a relative-matching database. 23andMe is mostly used for donor-conceived persons to find their biological families and their egg or sperm donor. Family tree DNA is another commercial company for DNA testing in Houston, Texas. It offers analysis of the autosomal DNA, mitochondrial DNA and Y-DNA of the individual for the genealogical purpose. This company is most famous for the mitochondrial DNA test and Y-DNA test worldwide. Family tree DNA introduced an autosomal microarray chip based DNA test in May 2010. They called the new product Family Finder. Family Finder allows customers to match relatives as distant as about fifth cousins. Affymetrix microarray was an initial product used in the DNA testing which was replaced by Illumina Omniexpress chip after and results from the Affymetrix chip were retested for the forward compatibility. Family tree DNA also allows exploring paternal and maternal line through Y-DNA test and mitochondrial DNA test respectively. In December 2018, it changed its service to allow law enforcement to use their services to identify suspects of violent crimes. The results of our DNA tests could have profound implications. Likely, it is important to get an accurate result. Today, there are many companies who are providing services for DNA and gene testing. Amongst many, these are some of the most famous and best-reviewed companies for the DNA testing that around the world.